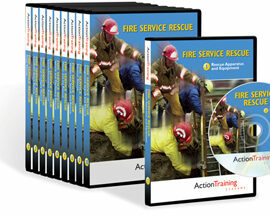 Home / Fire Service & Rescue / Texts/Handbooks & Supplements / Elevator & Escalator Rescue: A Comprehensive Guide, 2nd Ed. Elevator & Escalator Rescue: A Comprehensive Guide, 2nd Ed. 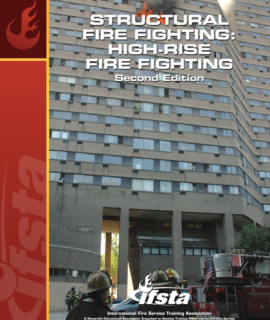 The long-awaited second edition of Elevator & Escalator Rescue: A Comprehensive Guide is written by firefighters for firefighters and contains important information for technical rescue members, training officers, and fire company members alike. 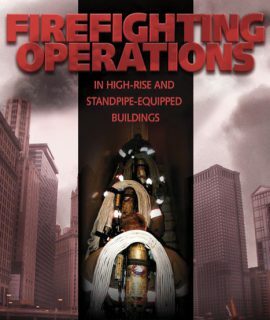 This book details the risks involved in elevator and escalator rescues and how to face them successfully. 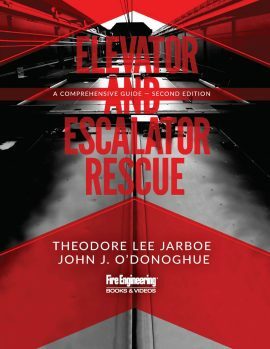 A comprehensive guide for dealing with elevator and escalator emergencies, including a complete review and updating of all chapters. Coverage spanning the evolution of elevators from their most primitive stages to include today’s high-tech innovations, modular, wind turbine, pneumatic and destination control systems as well as STM suspension belts. A new chapter (Chapter 35) containing information and the description about the Fire Service Access Elevator (FSAE). What they are, where will they be found, and building code changes that will help safeguard the firefighters using these elevators. This will include the use of a Narrative Sheet to ensure compliance with requirements. A new chapter (Chapter 33) on the Occupant Evacuation Operation (OEO) and Occupant Evacuation Elevator (OEE) elevators. These systems are already in place in new design ultra high-rise buildings in the US. They will be used to evacuate the occupants in these buildings. An updated elevator glossary of elevator and escalator terminology. Chapter ending questions to test students’ comprehension.